Nice clean 2 bedroom 1 bath mobile home with vinyl windows, central heat and air, large covered porch, living room with ceiling fan, kitchen with ceramic tile, painted cabinets, Whirlpool gas cooktop/oven, microwave and GE refrigerator, laundry, full bath with vanity, sink, tub/shower, toilet, bonus room/back porch, 2-sheds and is situated on 4 city lots just down from City Hall. Make an offer now or bid your price in the online auction. Sale is subject to probate court approval. 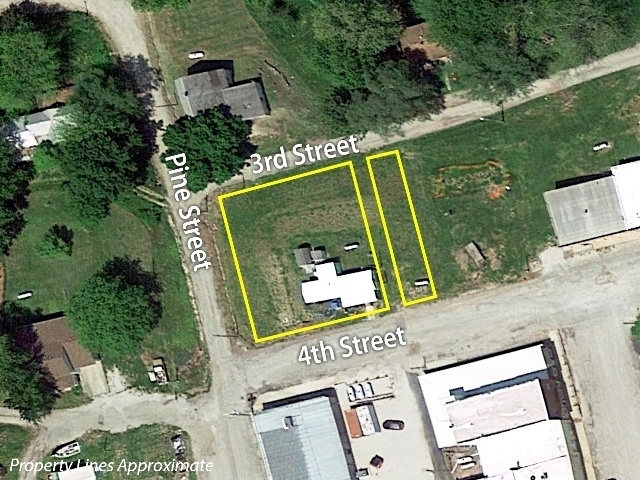 Highway 131/MO-131 to 4th St. (downtown Wellington), west to address, Watch for auction signs.